BooBoo Kitty Couture: Working from Home - wardrobe! Working from Home - wardrobe! So in just over two weeks will be d-day! I leave the comforts, security and all the tea i can drink of my day job and join the club of the self-employed! Interviews are being held for my replacement, writing my handover documents. Its all becoming very real. When every girl gets a new job, one of the first things we think is. What am i going to wear? Working from home is no different. For years i have had to conform, cover my tattoos and dress more conservatoiry. Now i can finally be me, be me all the time not just at weekends. But it needs to be comfortable. I plan on spending most of my time sewing. So i need to be able to move easily. I currently sew in my jammies at the weekend. They are so comfy. But i don't want to live in my jammies or spend my days in scruff's. Of course there will be days when my duvet will be my office! i will do another blog post on lounge and nightwear. But in the mean time, do check out Betty Blue's Loungerie. I started a board on Pinterest I love Pinterest. its a great way to organise thoughts and ideas. Good way to plan blog posts as each image has its source automatically stored. I don't normally dress casual. I currently spend all of my week in boring office wear. Then at the weekend i really go to town in my vintage style, i always wear a dress, stockings, matching bag and shoes. I really do need some help on how to develop my casual style! 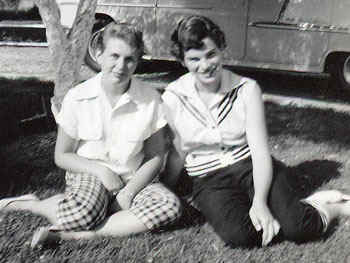 I think it was Betty Draper who started my love for plaid cigarette pants. Peddle pushers and capri pants have always been a classic any rockabilly gals wardrobe. I have had a few pairs before from the high street and a certain rockabilly brand that i shall not mention. The versions from the high street were just not the right style at all and the other rockabilly brands, although they advertise them as high waisted, they weren't. i like high waisted garments to sit on my waist, not float around somewhere below the waist and above the hip, causing them to fall down!! -solution, make my own! I have a vintage pattern. But have made them before, the fit wasn't right. I need to re-draft the patten. Separates are versatile and easy to wear. I wear allot of cardies already at work, i have to cover my tattoos. I will utilise my current collection and mix and match them with other casual separates in my wardrobe. Cute little sleeveless shirts are another addition i would like to make to add to my wardrobe. they are so cute and will go with a wide range of bottoms. 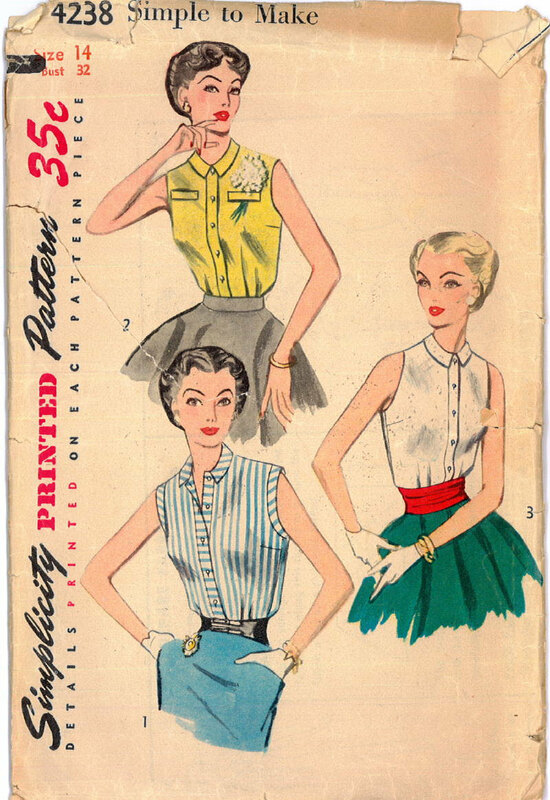 I have a pattern from a shirt dress that i am making, i will use this to draft my own pattern for a shirt. 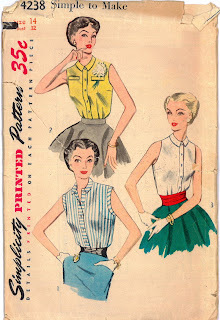 And Yes i will finish the shirt dress at some point, as it would be perfect for Spring that is just around the corner. I love full skirts. They are comfy and easy to wear, i already have a few in my collection. I will be making use of them allot more. I have just ordered double quanity of some tulip fabric that i used to make a custom order for last year. I just loved the fabric and it has been on my mind ever since. 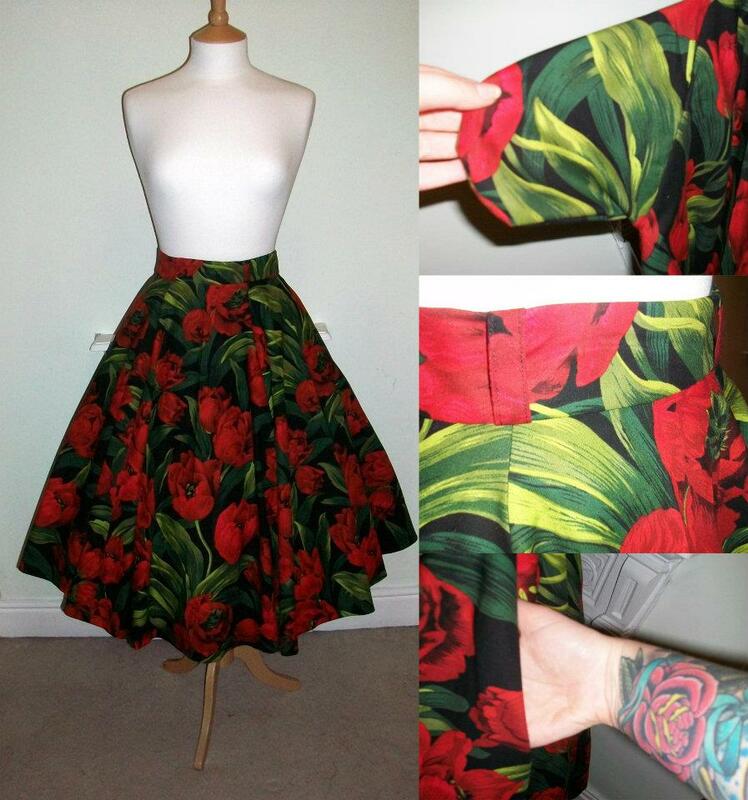 So when another customer wanted a full circle tulip skirt, i ordered double to make me one! Or what do you wear when you are crafting or sewing? Interesting post! 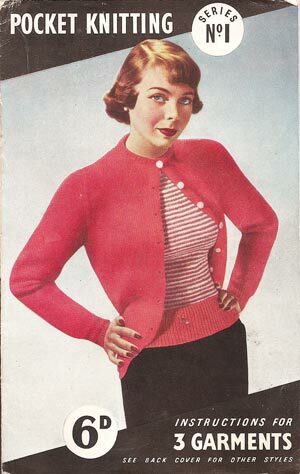 Well, in winter - I wear lots of layers, big jumpers and cardis as I don't put the heating on during the day. In summer - dresses or capris and a vest/tee. Comfort is key for me as I'm sewing one hour, cutting stuff out, making & piecing jewellery the next - so I don't want to wear my good stuff coz it will probably get ruined! I also dont wear make up most days, if I'm staying in all day. When I do go out however it makes such a difference to put something nice on and do hair and make up properly! Hi there! Lovely blog post! I do work from home, and I usually do most of my computer work, or sitting down work, in the mornings. I wear my workout clothes, and then work out mid-day, around 11:00 a.m. Then I shower and dress in jeans or comfortable slacks and a cute shirt, with my favorite minimal makeup look. If I have errands to run I get a little fancier. Maybe a scarf in my hair or around my neck, and more accessories. I don't usually do my all-out-vintage look during the week. 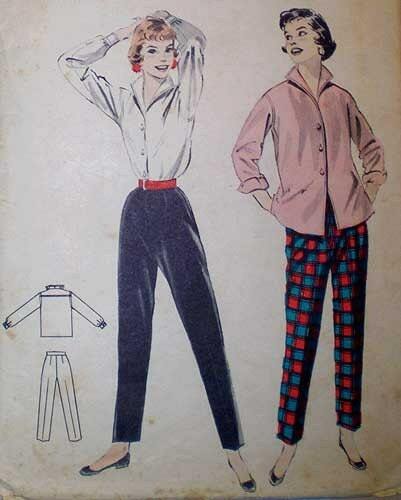 I would love to have plaid cigarette pants though! I'm currently (and slowly) shifting my wardrobe to all vintage inspired or vintage pieces. It's a long term project, haha. I am horrendous. My go to outfit is over the knee socks, shorts and some sort of jumper. In winter I tend to wear a scarf as well. That at least was quite cute, except the christmas before last my sister bought me reindeer comfy trousers and now I live in them. I keep telling myself to wear nicer outfits at home but as I often end up sitting crossed legged my reindeer comfies are just too hard to ignore! I work from home only one day a week (four in an office and another two at home on the weekend with kids when not much 'work' gets done!). 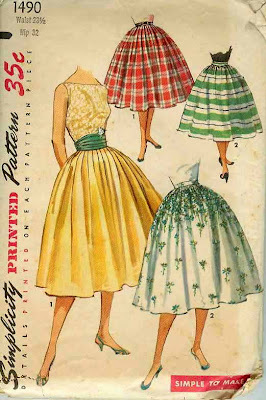 I favour a house dress - I am going to attempt one from a 40s pattern soon, in a nice cool cotton. It's summer here and very hot, so sometimes it's just bathers and a sarong (red with whte polkdots). What ever I wear, I feel ready for work once i put on a little makeup and red lippy.